With the increasing demand for smartphones with a better camera, the mobile manufacturers had to come up with dual camera phones. As for today, almost every manufacturer has implemented the dual camera in their flagship phones. This has left most of the users in a big confusion. Most of the users want the best dual camera smartphone within a limited budget, so here is today’s post for all of you on budget dual camera phones out in the market. 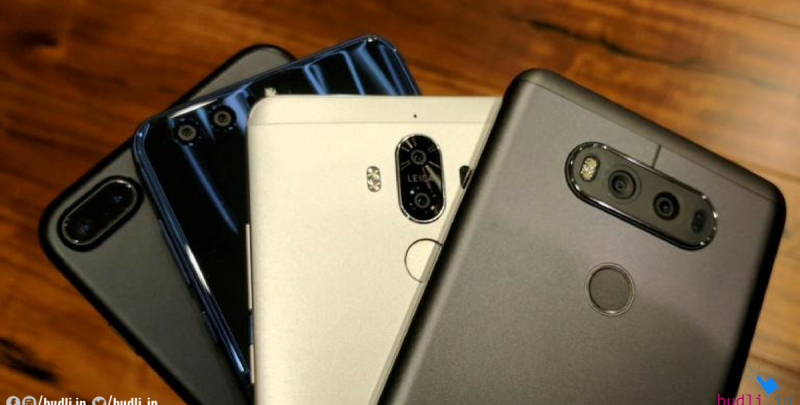 Here is the list of 5 smartphones with a decent dual camera in the increasing order of their price, 1 being the least and 5 being the highest. Lenovo K8 Note has a 13 and 5 MP primary camera and a 13 MP secondary camera. It is powered by a large 4000mAh battery and a 5.5-inch screen. The phone runs on Android 7.1.1 OS and is powered by 2.3 GHz Deca MediaTek MT6797 processor. The overall camera quality is good and the dual camera setup does its job pretty well when it comes to bohek effect images. Gionee A1 Plus has a 13 and 5 MP primary camera and an amazing 20 MP secondary camera. It has a battery capacity of a whopping 4550 mAh and a 6-inch large screen. Gionee A1 Plus is powered by 2.5 GHz Octa Mediatek Helio P25 processor and runs on Android 7.0 OS. This smartphone is similar to the Lenovo K8 Note in a lot of ways except for its bigger display. The camera performance is also very much alike to the K8 Note. The images a crisp and well detailed. Huawei Honor 9i has 16 + 2 MP primary camera and 13 + 2 MP secondary camera. It comes with a large 3340mAh battery to support its 5.9-inch screen. The phone runs on Android 7.0 OS and is powered by a 2.36 GHz Octa Kirin 659 processor. Macro shots are very clear and crisp with or without the Wide aperture mode with the Bokeh effect enabled. This device also has a dual front camera setup. Moto has always been praised for its camera quality, to keep up with this the company has come up with a dual camera phone at an affordable price. Motorola Moto X4 has a 12 + 8 MP primary camera and a 16 MP secondary camera. It has a display screen of 5.2 inches and is powered by a 3000mAh battery. The Motorola Moto X4 runs on Android 7.1.1 OS & is powered by 2.2 GHz Octa Qualcomm Snapdragon 630 processor. For a budget of 25K Huawei Honor 8 Pro would be one of the best smartphones in the market. Huawei Honor 8 Pro has a 12 + 12 MP primary camera and an 8 MP secondary camera. It has a large screen of 5.7 inches and to power it Honor 8 Pro has a powerful 4000mAh battery. The phone runs Android 7.0 OS & is powered by 2.4 GHz Octa Kirin 960 processor. These are the smartphones with decent dual cameras within a budget. For all those users who want the best dual camera phone but are hesitant to invest a lot of money, I have the best option for you – budli.in. Budli is a one-stop destination for refurbished electronic gadgets and it has been the largest refurbishing site. You can easily upgrade your old device or even purchase a new device form budli.in with amazing discounts. At budli, you will find a wide range of gadgets form brands across the world. So go get your hands on the device of your choice from budli.in.